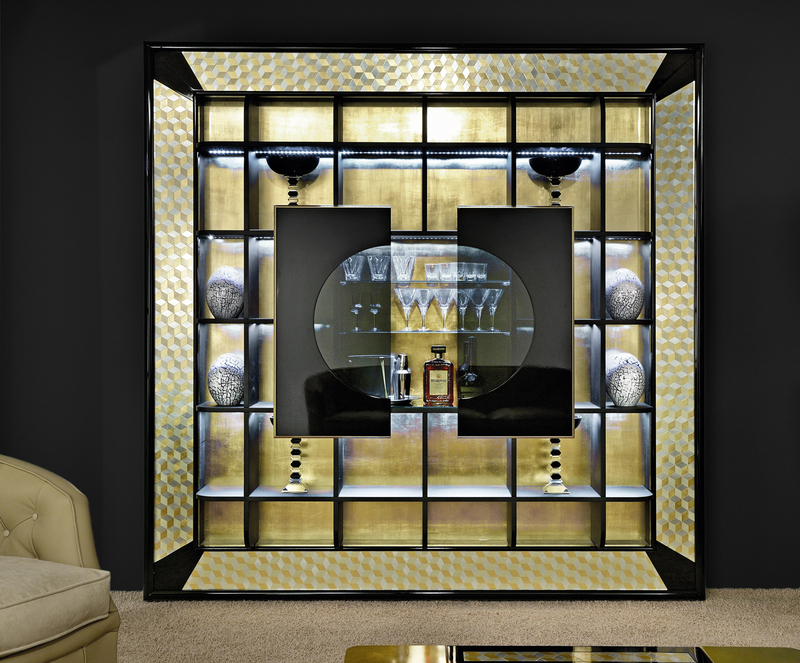 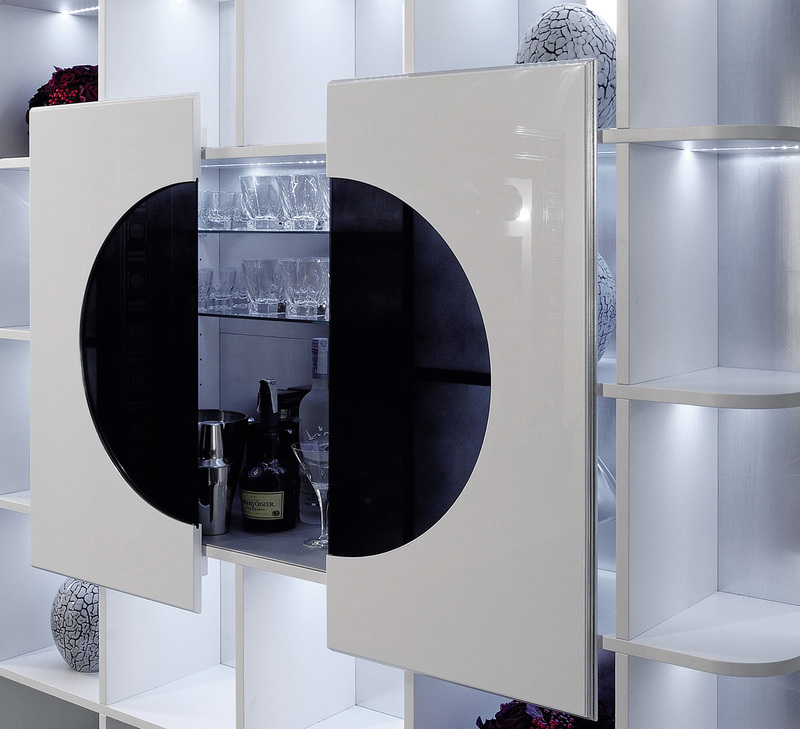 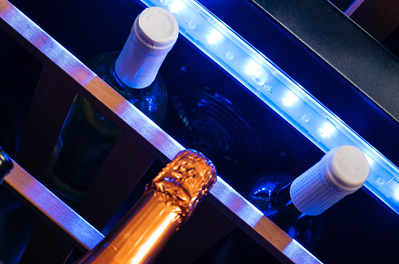 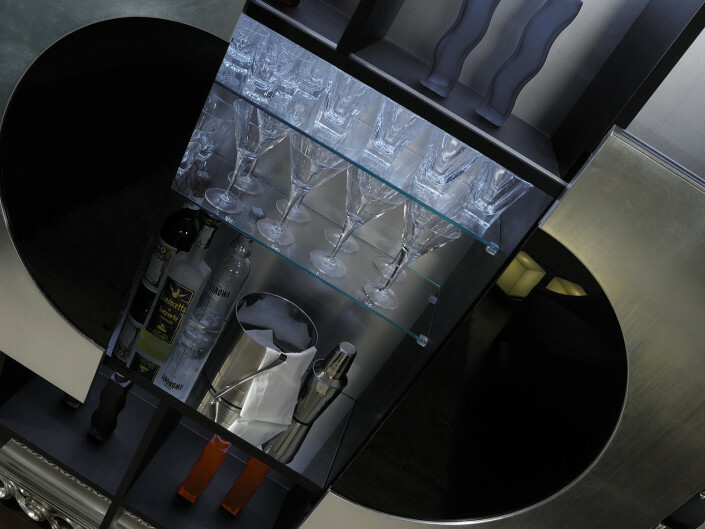 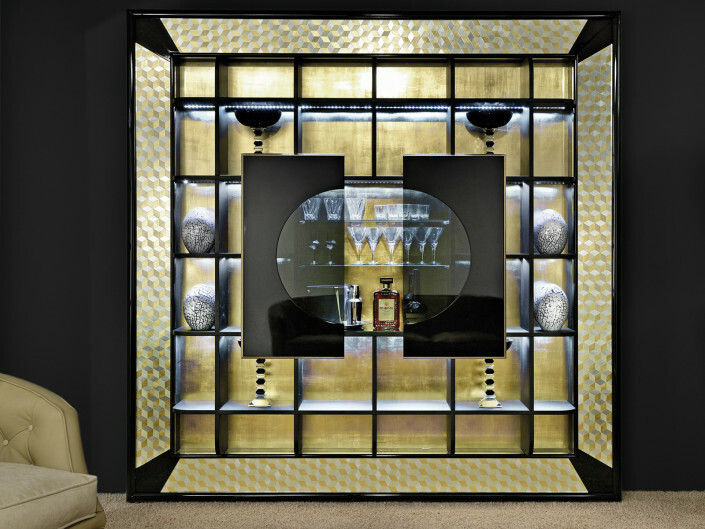 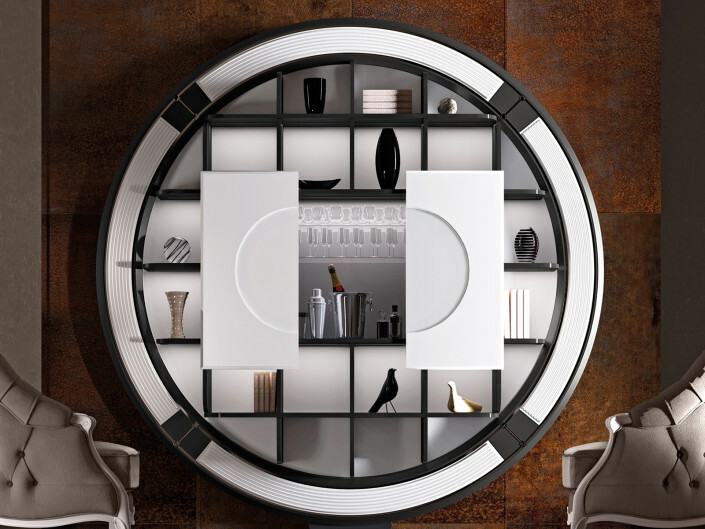 Vismara Bar Cabinet is a sophisticated solution to storage liquors in an exclusive space. 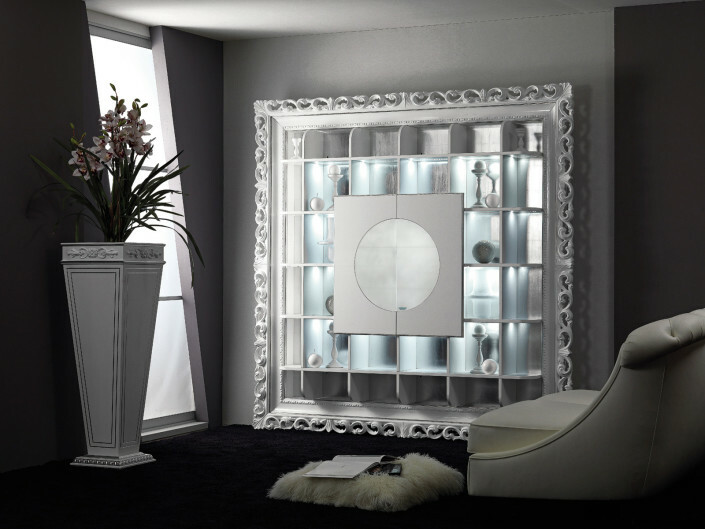 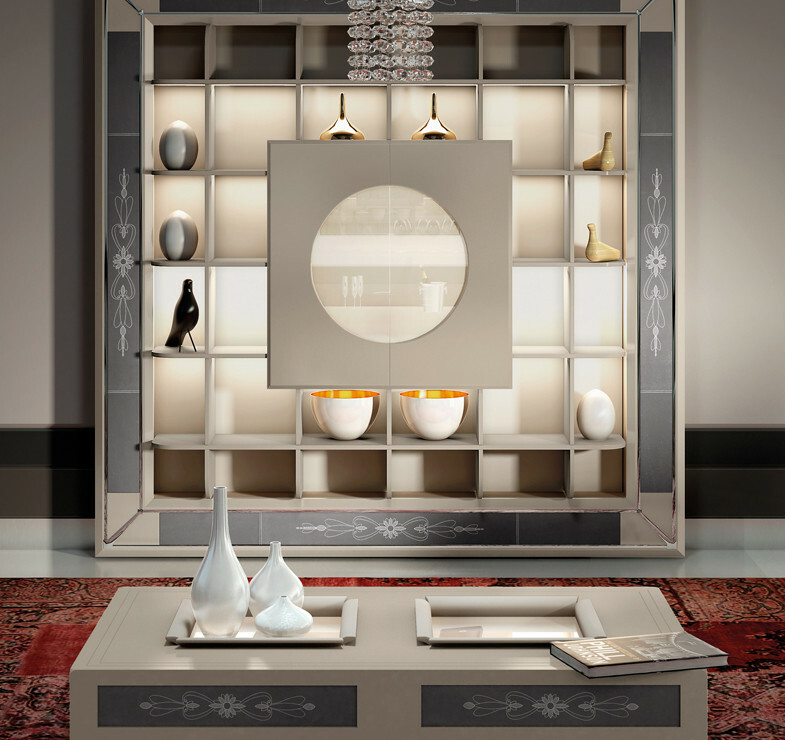 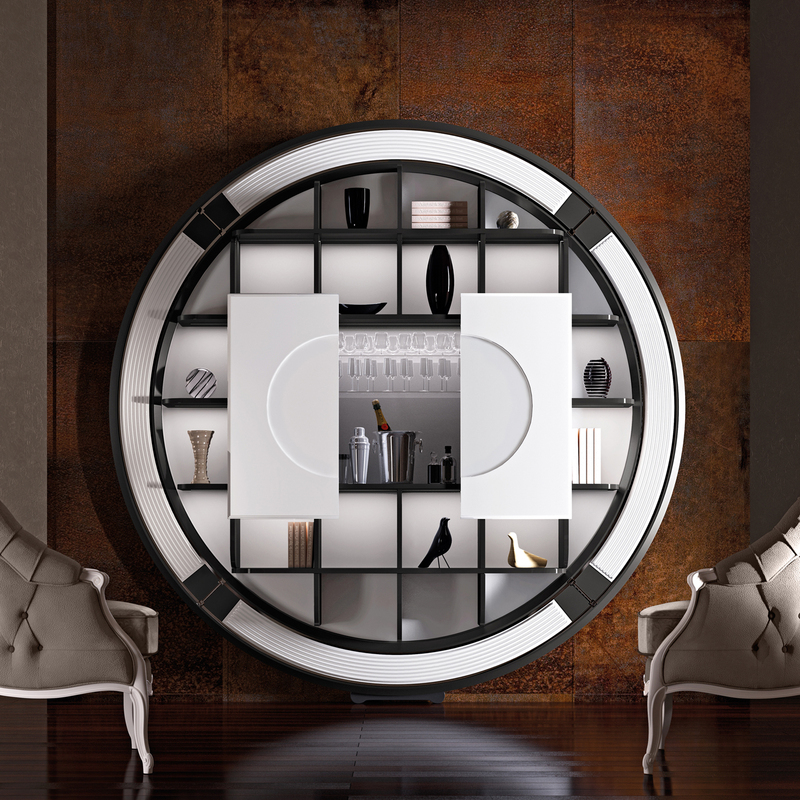 This is a wall unit furniture composed with led enlightened shelves to display object and books. 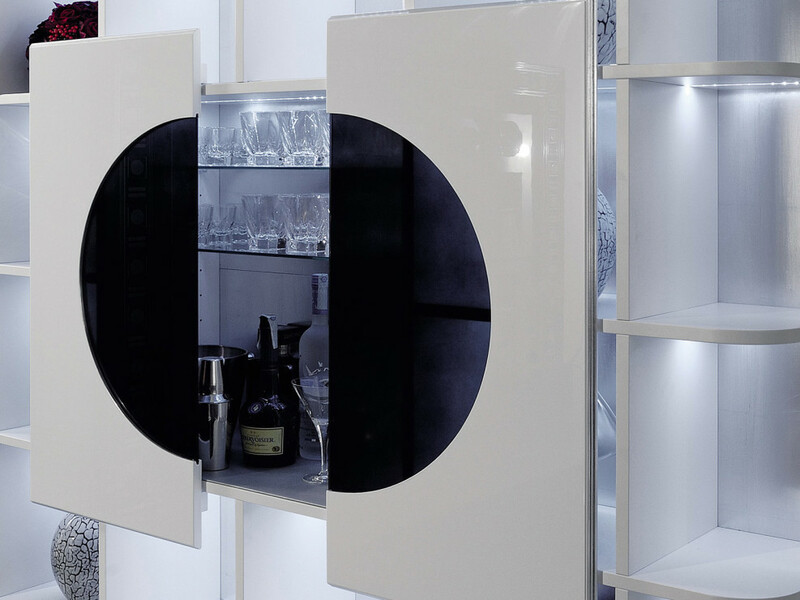 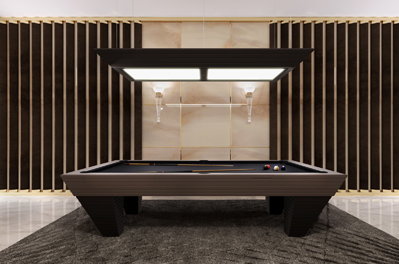 The central part keeps liquors and bar equipment; this niche is elegantly concealed behind two glass and wood sliding doors. 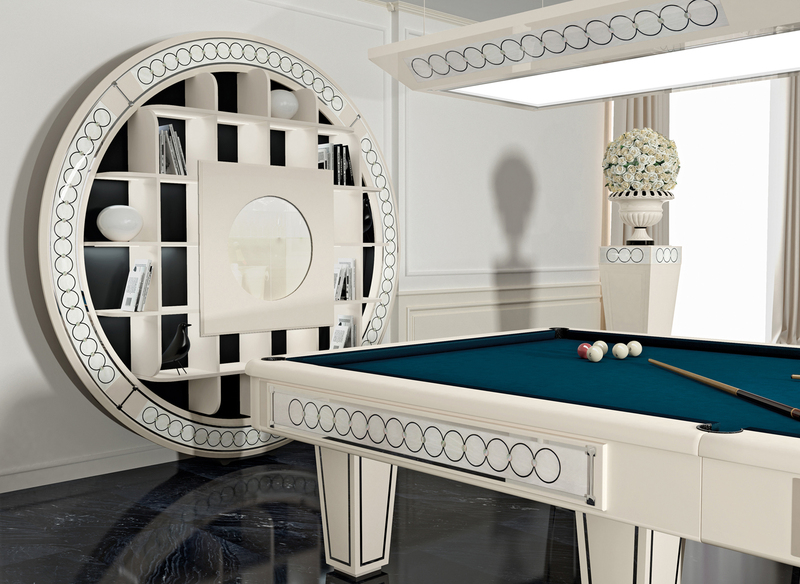 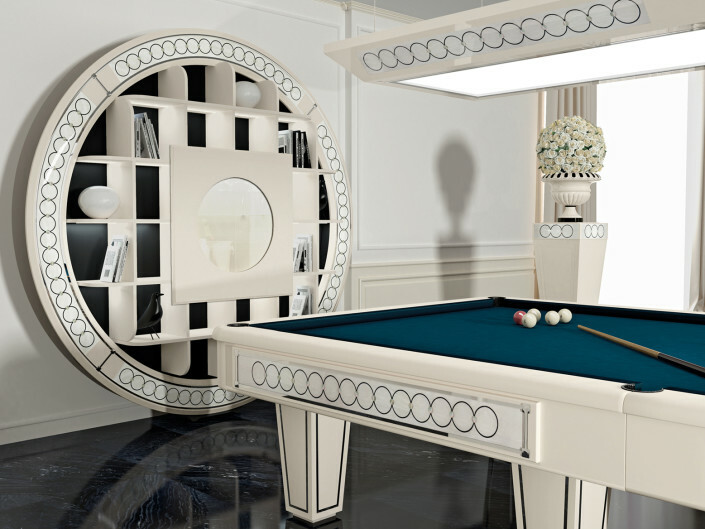 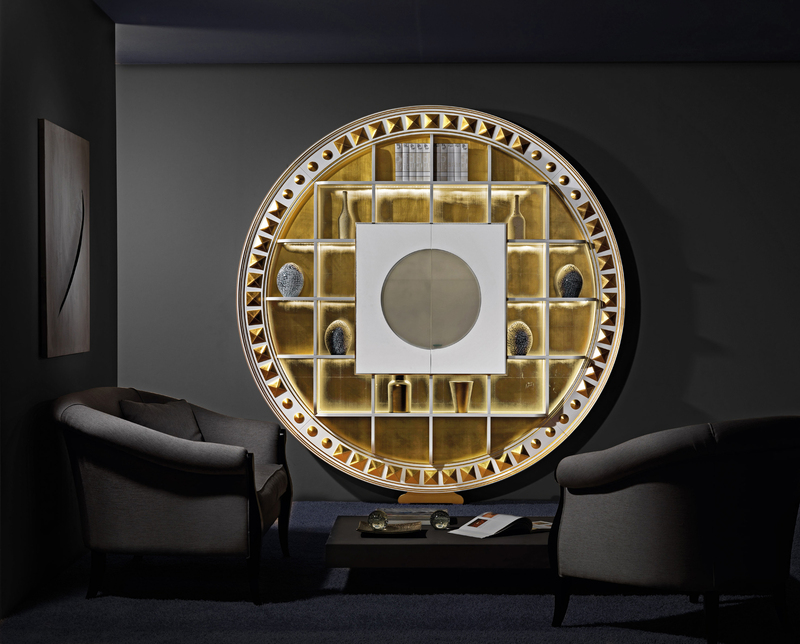 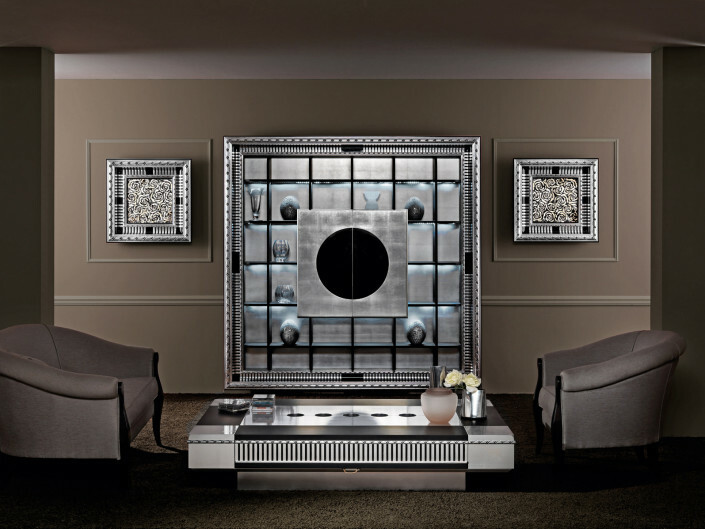 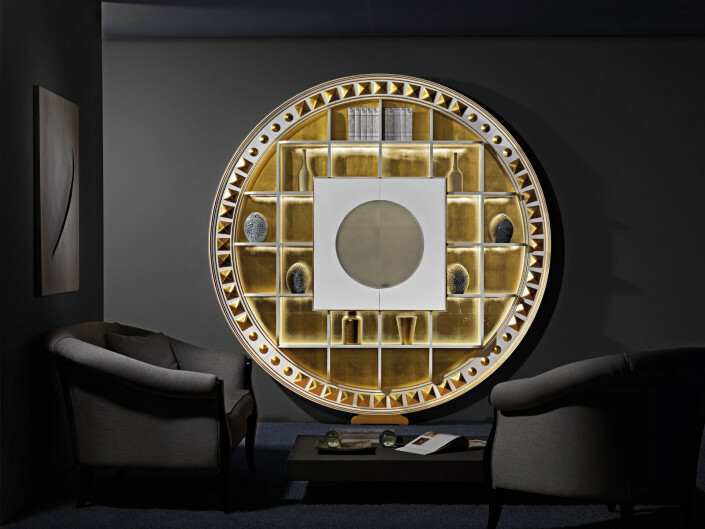 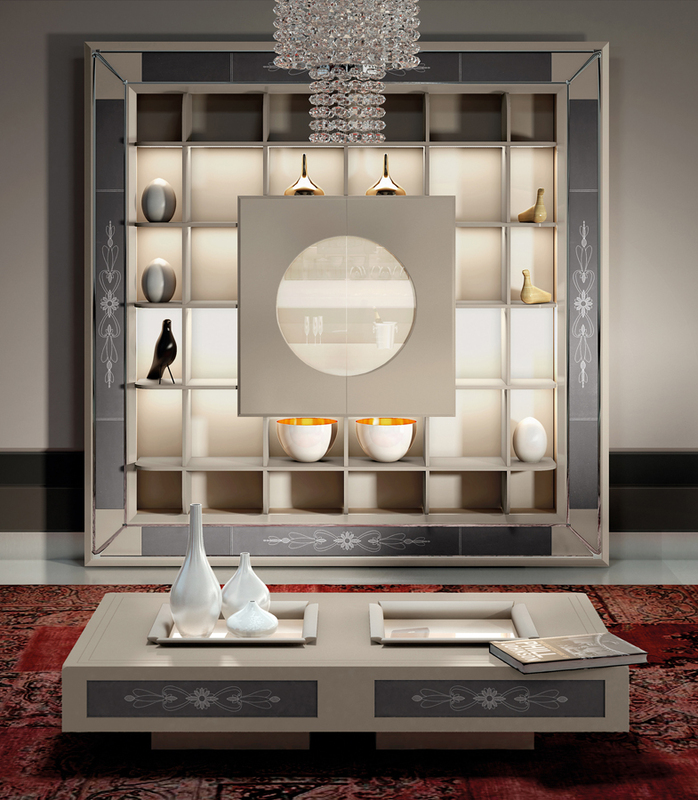 The shape can be round or square, the finishes are countless as well as the frame decorations: from wood carving, handmade mosaik, Murano glass tiles and gold/silver leaf to inlaid woods, embroidered leathers, marbles and much more.